AUGUSTA — Gov. 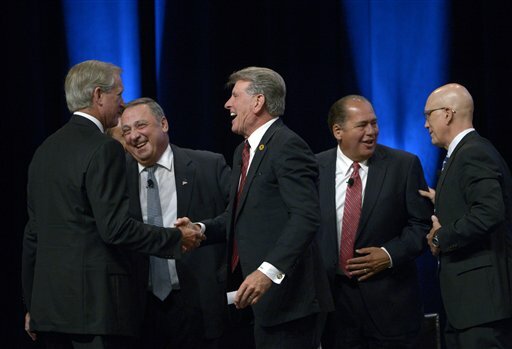 Paul LePage and an entourage from Maine is headed back home after attending a U.S. Manufacturing Summit hosted by the National Retail Federation and Wal-Mart. Other Maine officials at the event included the governor’s economic policy adviser, John Butera, and Department of Economic and Community Development Commissioner George Gervais.